Making a Relationship Work - What Is Gottman Method Couples Therapy? “Easy” is not a term frequently used to describe relationships. Making a relationship work requires commitment, and commitment requires sticking it out through the good and the bad, the positive and the negative. It requires that partners do "small positive things often". My work with Gottman Method Couples Therapy, as developed by Drs. John and Julie Gottman, provides couples with the concrete and simple tools tools that can strengthen (and often save) their relationship. The first step toward making a relationship work is to get to know your partner really well. Invest in their inner world. What are their likes and dislikes? Their goals and ambitions? Getting in touch with your partner's world is the start to forging a deep connection. Expressing (often!) affection, appreciation, compliments, gratitude, and respect are powerful ways to build a sound relationship. Do you have appreciation and respect for your partner? How do you show it? Discovering new ways to communicate your appreciation can lead to a much-needed positivity boost in your connection with your partner. Make a commitment to do this every day. Like anything in life, it’s the little things that add up and create one great big thing. This is especially true when you try to improve a relationship. You may notice that both you and your partner give frequent, and often subtle bids for connection with each other. These bids can be something as small as reaching out to hold your partner's hand while taking a walk together. Or commenting on the beauty of a sunset. Turning toward these small bids helps to show your partner that they matter to you. It can be as simple as looking at your partner and smiling when they each out to connect with you. Start by noticing these small 'bids for attention or connection' and responding positively. When we take a positive perspective, we assume the best intent in our partner, we give them the benefit of the doubt. This can significantly prevent or minimize conflict. Contrary to popular belief, conflict, in and of itself, is not bad. If something is not bad, it does not need to be fixed. It instead needs to be appropriately handled and managed. Managing conflict well is essential for making your relationship work. Conflict is inevitable.... arguments and fighting are not. Learn how to move past gridlock and into understanding and compromise. And practice repair - interrupt a negative cycle and pause to calm yourself down or to repair the disruption (best done by taking taking responsibility for your own part in the negativity and by listening to your partner with the intent to understand). Click here for my video on using repair during a conflict. Once you’ve created a life with someone, it can be easy to forget that, at some point, you had goals and dreams separate from your spouse. It’s important to reconnect with these goals and dreams and create space in your relationship to discuss them. This means establishing a safe zone, free of judgment, to share your life goals and ambitions with one another. And to do what you can to support your partner's dreams, goals, and passions. What are the values and life goals that the two of you share? Do you have rituals in place to help make these happen? In addition to these seven building blocks, two of the cornerstones of a strong marriage are TRUST and COMMITMENT. Without these, there is not a solid foundation to build on. Trust and commitment can be rebuilt if both partners are dedicated to doing the work to heal the broken places in their relationship. Don’t wait until it’s too late to make your relationship stronger. 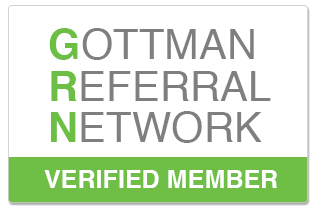 If your marriage is beginning to suffer, or if you just want to fine tune it, contact me today to set up an appointment Find out how The Gottman Method can help you. Newer PostImago Relationship Therapy: What Is It? And How Can It Help You?